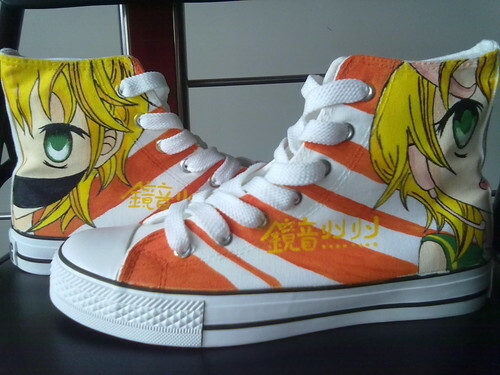 Kagamine Rin & Len hand painted shoes. Rin & Len custom hand painted high oben, nach oben canvas sneakers at studio. HD Wallpaper and background images in the Rin und Len Kagamine club tagged: kagamine rin len customize converse canvas shoes high top hand painted shoes.